Today is the second anniversary of the end of one of the largest manhunts in New York history — when officials captured the second of two men who escaped from the Clinton Correctional Facility in Dannemora. The episode led to convictions, inquiries and calls for security reforms. 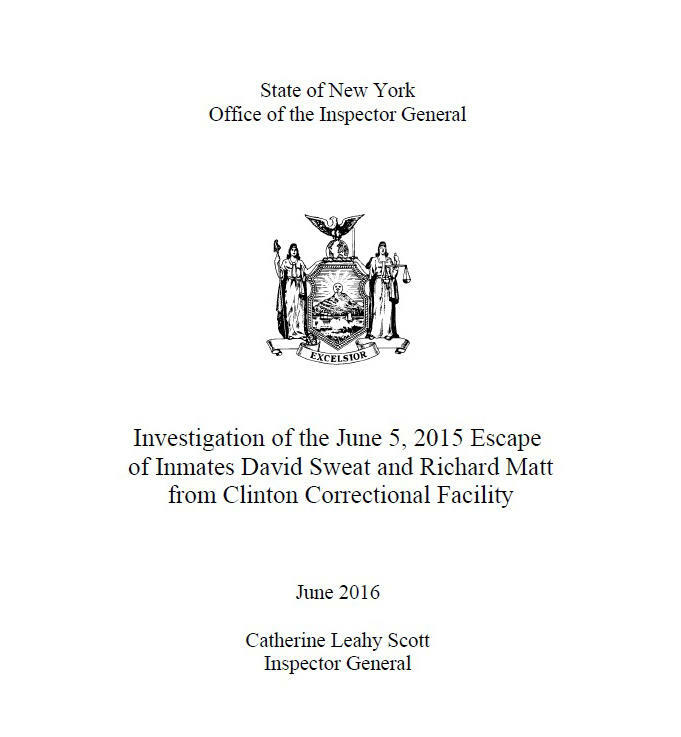 On June 6th 2015 David Sweat and Richard Matt were discovered missing from their cells at Clinton Correctional Facility in Dannemora. Following a 23-day manhunt, both inmates were eventually found in neighboring Franklin County. 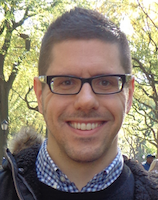 Matt was shot and killed by a tactical team from Customs and Border Protection on June 26th. Sweat was shot and captured two days later. Sweat survived his injuries and later pleaded guilty to charges related to the escape. Complaints of brutality against inmates increased in the immediate aftermath of the escape. In August 2015 the New York Times reported prisoners were beaten, placed in solitary confinement, threatened, transferred, and lost property and privileges during and immediately after the search. Former prison tailor Joyce Mitchell was convicted for her role in helping Matt and Sweat escape and is serving her sentence at the Bedford Hills Correctional facility. She was denied parole in February 2017. Former corrections officer Gene Palmer was fined and sentenced to 6 months in the Clinton County jail for his role in the escape. He was released after serving 4 months in June 2016. A Lifetime television movie about the breakout aired earlier this year, and a Showtime series is also reportedly in the works. 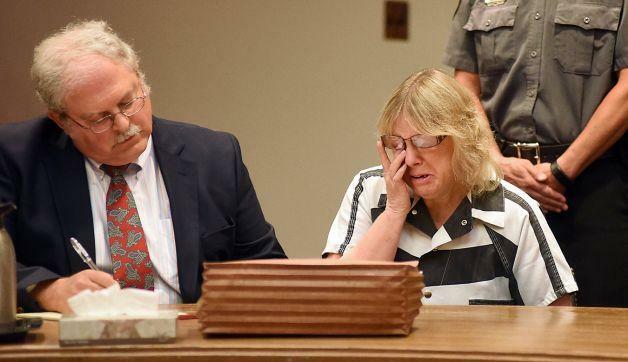 The New York State Parole Board has unanimously denied former prison guard worker Joyce Mitchell’s bid for parole. 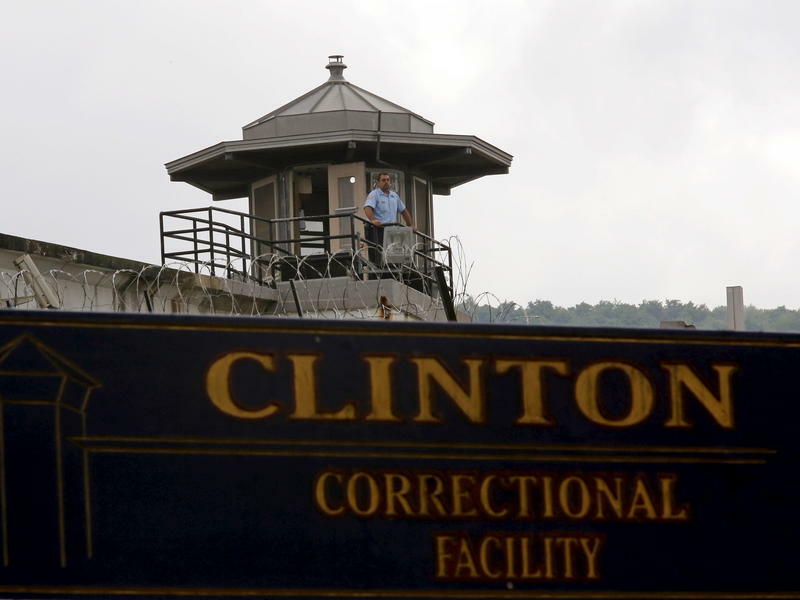 New York corrections officials say nine guards, officers and civilian employees at the Clinton Correctional prison in northern New York resigned or retired in lieu of other discipline after two murderers escaped last year. On Monday the New York State Inspector General issued a report detailing systemic breakdowns that led to the escape of two inmates from the Clinton Correctional facility in Northern New York. On Thursday, the Correctional Association of New York released a report detailing violence and abuse against inmates at the maximum security prison. 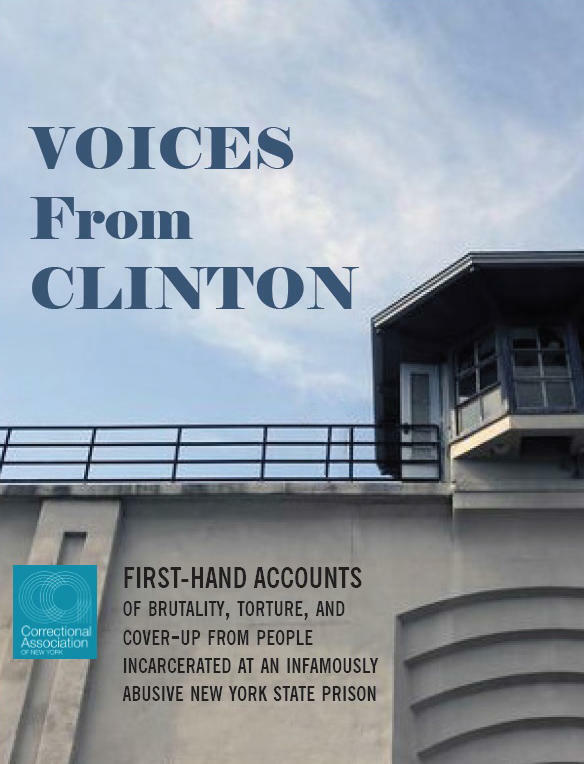 The Correctional Association of New York has issued a report that alleges a culture of violence and abuse against prisoners has existed at Clinton Correctional for years. 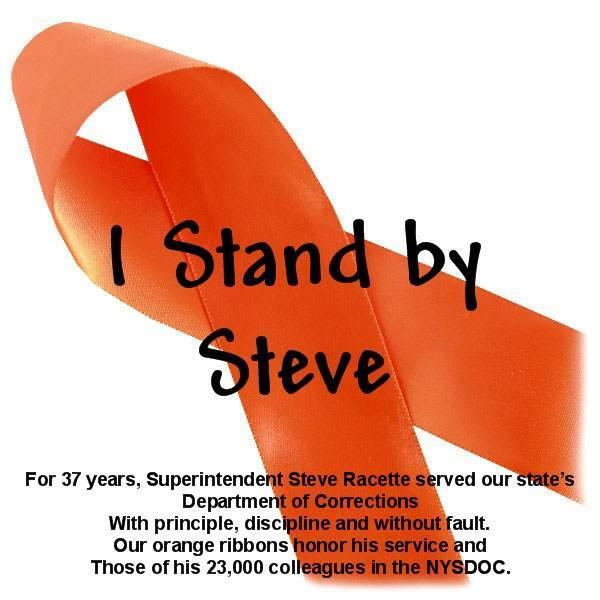 Steven Racette, the former superintendent of Clinton Correctional Facility is planning to retire at the end of the month. A legal services group says inmates who knew the two men who escaped from a maximum-security prison in northern New York reported beatings by guards trying to determine where the pair went. Officials say 12 more staffers at the New York prison where two killers escaped three weeks ago have been put on administrative leave — including the prison's superintendent and his deputy in charge of security. 71 inmates have filed complaints with Prisoners Legal Services alleging violent retribution by corrections officers at Clinton Correctional facility during and in the wake of the escape of Richard Matt and David Sweat. The revelations by the New York Times have shocked many people. The Correctional Association of New York is the only group that has statutory authority under New York state law to enter prisons to monitor conditions. 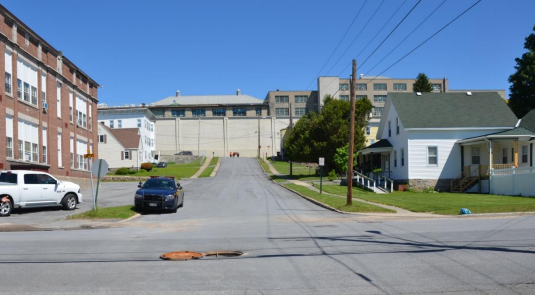 New York Governor Andrew Cuomo’s Inspector General finds numerous security and oversight problems at the state prison in Dannemora contributed to the prison break of two inmates last year. The June 6th, 2015 escape of inmates Richard Matt and David Sweat from Clinton Correctional Facility near Plattsburgh led to a massive three-week manhunt, in which Matt was killed in an encounter with state police and Sweat was shot and wounded and recaptured. The first time I went inside Clinton Correctional Facility was more than a decade ago. I was there to do a story about the architecture and history of this maximum security prison, built in the Adirondack Mountains in northern New York in the 1840s. It was a rare glimpse of a world and a culture few people ever see. The morning of June 6, 2015 was to become historic for the Clinton Correctional Facility in Dannemora, New York. The facility had never had an escape occur from its maximum security wing – until that day. As part of our series on the biggest stories of 2015, WAMC’s North Country Bureau Chief Pat Bradley looks back at the 23-day manhunt and its aftermath. The nationwide manhunt continues for two convicted murderers who escaped earlier this month from a maximum security prison in New York. At the same time, a viral video is raising new questions about security at the prison in Dannemora. 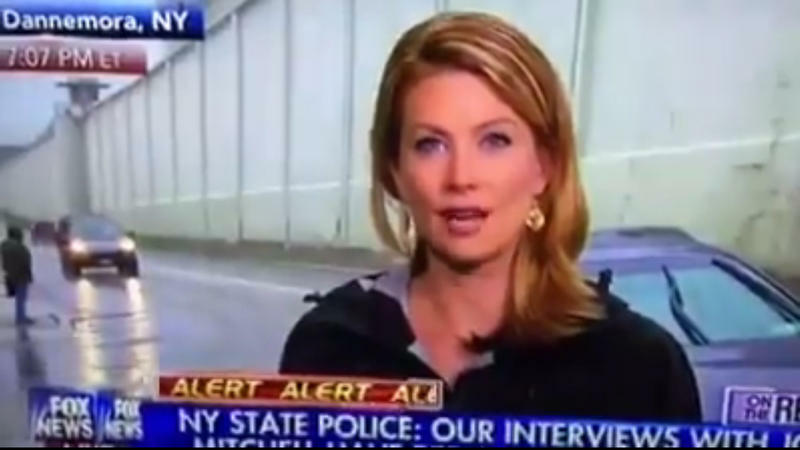 This story begins with a pair of observant viewers who video taped a Fox News broadcast on their TV in the days after this prison break began. 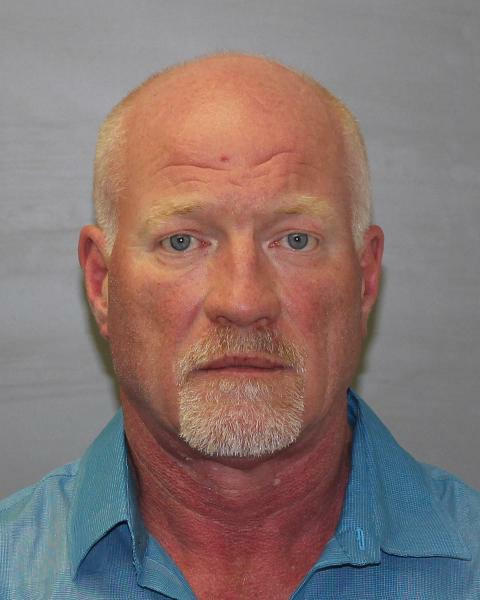 A prison guard from the maximum-security Clinton Correctional facility who police say delivered frozen meat with tools hidden inside to two inmates before they escaped was arrested and arraigned last night. He will be back in court this afternoon on charges of promoting prison contraband and other offenses. 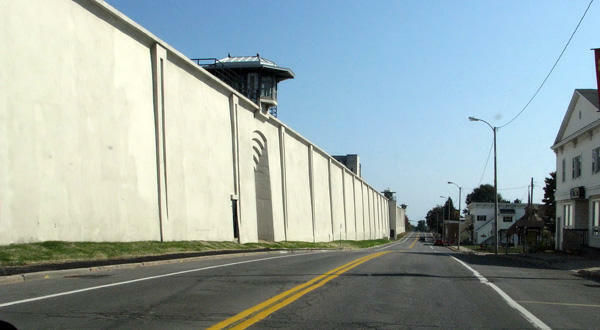 A new superintendent has been named to run the maximum-security Clinton Correctional prison where a range of new security measures have been implemented to close gaps exploited by two inmates who broke out on June 6th. 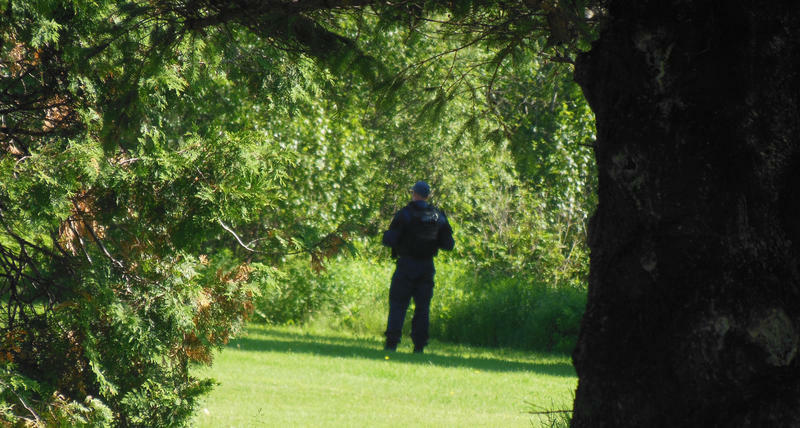 Search teams are back in the woods of northern New York looking for two convicted murderers who broke out of a maximum-security prison a week and a half ago. Orange ribbons are appearing on trees, on poles and in windows across the North Country. It’s an effort to show support for Clinton Correctional Facility administrators and staff that many local residents feel are being made scapegoats in the aftermath of the escape of two maximum security prisoners. Hundreds of law enforcement officers today are continuing the search for two convicted murderers who escaped from a prison in northern New York over the weekend. With the search for the fugitives who escaped from the Clinton Correctional facility over, the focus now turns to the prison itself. WAMC’s North Country Bureau Chief Pat Bradley reviews actions that are known to be under way to determine how Richard Matt and David Sweat escaped the maximum security prison in Dannemora. The New York Inspector General spent much of Monday meeting with the only corrections officer charged in the aftermath of the escape from the Clinton Correctional facility in June. 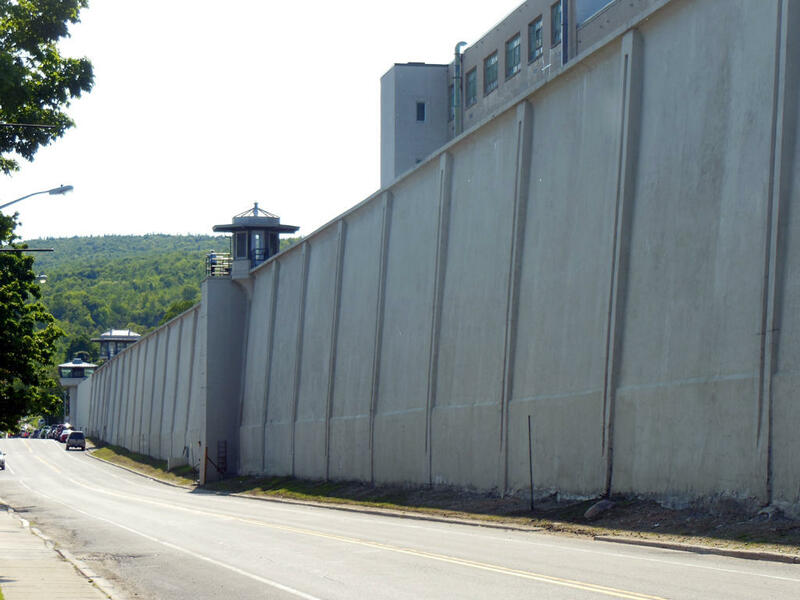 One year after two convicted murderers escaped from the Clinton Correctional Facility in Dannemora, the New York State Office of the Inspector General released a scathing report on how the prisoners made their escape from the maximum security facility.